capacity, durability and ease of installation. The Stegmeier Super Drain is a technically superior round drain designed for maximum flow capacity, durability and ease of installation. Super Drain features a nailing guide,which also acts as a true water seal against moisture transfer to the subsoil. A full range of non-directional fittings, adapters and end clips are available, although you may construct your own out of 1-1/2” schedule 40 P.V.C. pipe. Because Super Drain fits flush on both sides, it stakes more securely (no more roll over). 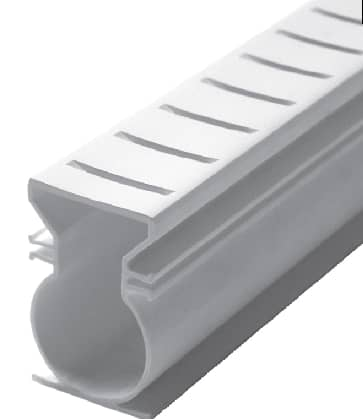 Original drain lengths are 10', but to significantly reduce shipping cost and allow UPS shipping, drains are cut to 5'. 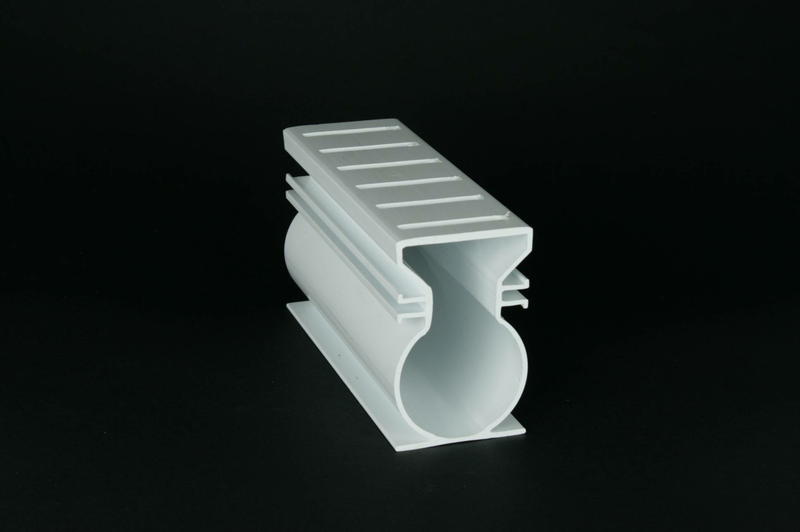 Optionally drains can be purchased and shipped in 10' lengths, which will require a separate shipping estimate.